A recognition program for all public safety communication professionals. In our profession, we often see examples of dedicated professionals going above and beyond the call of duty and the ProCHRT committee wants to recognize these teammates on a national level. This program allows anyone to nominate a teammate and tell us about how they went into action. This program is not meant to take the place of or be equal to the APCO International Public Safety Communications Awards Program. Teammates in Action is instead meant to recognize the everyday work that is done by thousands upon thousands of public safety telecommunicators across the globe. Rather than award a body of work, this program recognizes an act or action during a singular incident. 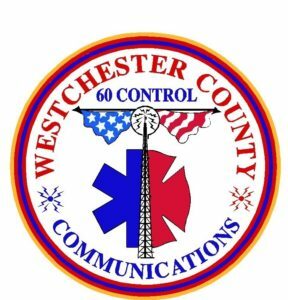 Overlooked far too often are the heroic actions taken daily by telecommunicators. This program hopes to bring these to light and give everyone a chance to recognize these daily actions. Anyone working in a public safety communications center or answering point can be nominated, including, but not limited to, public safety telecommunicators, supervisors, managers, directors and/or administrators, trainers and coordinators, quality assurance personnel, IT personnel, and radio technicians. Anyone can be the nominator (co-worker, supervisor, manager, director, etc.). Just complete the form below. The ProCHRT committee will receive these nominations and members of the social media work group will review the submissions and submit recommendations for recognition to the full ProCHRT committee. Contact the direct supervisor and/or director at the center to confirm the actions. Confirm in writing what details of the story are approved for publication. Request additional materials such as photos, newspaper articles, etc. which may be added to the social media recognition article. Recognized teammates will receive an electronic certificate and an article recognizing the teammate in action will be posted on ProCHRT social media platforms. Or to highlight a specific event or call for service that the teammate did an excellent job with. Complete the nomination form below to nominate your Teammate in Action.